The quirky tenants - a hilarious mix of misfits and rabble-rousers from days gone by - rely on Alexis all the more when they discover a plot to sell the Hotel. Can Alexis save their home? Find her real father? Deal with her surrogate dad’s dicey past? Find true love? Perhaps only their feisty pet crow, Habib, truly knows. ©2011 Seattle7Writers (P)2012 Audible, Inc. I enjoyed the way you could point out the different writing style from on author to the next but some how the flow of the story and the voice of the protagonist stayed consistent. What a charming and interesting group they are, men, women and 1 very clever crow. I love these books written by dispart authors each writing a chapter, this is a very good example. Did Pam Ward do a good job differentiating all the characters? How? 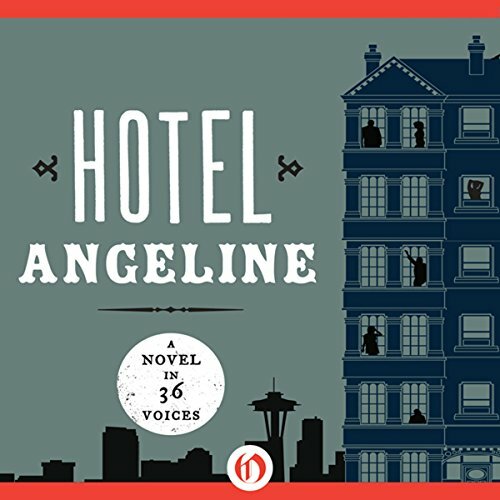 Could you see Hotel Angeline being made into a movie or a TV series? Who should the stars be? It starts out rather engaging and then some of the authors begin to use the story for their own political views and ended making a mess of the plot and even messier characters. This was a fine story but the ending left me with the unanswered question of how the Hotel Angeline ended up as it did? The future of the hotel was a main point throughout the story but how it came to its final status seems to have been lost. Ending felt very rushed!